When I teach seminars or speak at conferences, I usually give generalizations about the tools and resources one can use to make money, but inevitability someone asks, “What do you use?” So here is a list of the tools and resources I use to make money or to provide work-at-home information. Below are the resources I use to find jobs and tools I recommend to help people get hired to jobs. Some of the resources below include traditional jobs and may have biz ops and scams, so make sure you’re well-versed in how to avoid scams. Others are fee-based telecommuting databases. I like these options for jobs because they weed out the scams and biz ops. HomeJobStop has over 100 jobs in clerical, and more in customer service, writing, transcription, miscellaneous plus 100′s of others. Very affordable. Blog/Website – A great way to show off your skills, knowledge and post a resume and portfolio (see below for my website building recommendations). Job RSS feeds – many of the job sites listed above have RSS feeds that will deliver new job announcements to you. Another option is to use their email or Google Alerts for new jobs. Hostgator – I’ve used Hostgator for many years. I have moments when I’m frustrated and annoyed when my sites go down, but as I look at other website owners, I see they have some of the same issues. Another option that I haven’t used but that I’ve heard good things about is MomWebs. Godaddy – I have over 30 domains with Godaddy. WordPress Self-Hosted- Nearly all my sites are built on WordPress, even those that aren’t blogging sites. Like any tool, it can take a little time to learn, but once you’ve got it, you’re good to go. Even when updated, the look and how to use WP doesn’t change. Most webhosts now offer easy WP installation through cPanel (Hostgator does). Aweber – If you want to make money online, you have to have a list. The majority of people I know who are making good if not great money online have an email list. Aweber can be used in many ways. It has an autoresponder to automatically send follow ups. I use it to deliver WAHS U courses. You can have it pull the feed from your blog and email whenever your blog is updated or intervals you decide. Microsoft Office Home and Student 2013 (1PC/1User) [Download] – I own MS Office for Home and Student which includes Word, Excel, PowerPoint and OneNote. I use all programs, except OneNote. Scrivener – I recently bought Scrivener for writing because it has organizational and note/research keeping tools within the software. Jing – I use Jing for screencapture images and video. iStockphoto – I buy photos for products I sell (ebooks, info products etc) from iStockphoto. What’s nice about iStockphotos is that there are affordable photos and it even gives some away for free. For my blog posts, I try to find free royalty-free photos or buy photo packs through PLR sites. Adobe Photoshop Elements 12 – Use a really old version of Photoshop to create and edit graphics. You can use Gimp for free. Pinnacle Studio 17 Ultimate – I have an older version (12) that I use to edit videos for info products and YouTube. The basic 17 edition is buggy, so you might want to go with the ultimate version, which is more expensive, but includes some good tools including screen capture. PayPal – This is the fastest, easiest way to start selling online. PayPal offers many merchant options. It’s not perfect. I get more email related to not getting a download link from PayPal sales than other sources. The link is there, but PayPal sometimes makes it hard to find and doesn’t email the link to buyers. But for quick, easy and affordable merchant account set up, PayPal is good. ClickBank – Clickbank charges to set up selling (vendor) accounts (about $50), but it’s worth the price. Not only will ClickBank collect payment (PayPal, credit card, check), but you can set up an affiliate program allowing other website owners to sell your product(s) and earn a commission. Clickbank pays weekly or biweekly and will direct deposit into your bank account. YouCanBookMe – Use this free service to let podcast guests make their interview times. I’m able to limit times to days/hours I specify. Then YouBookMe adds the interview to my Google Calendar and sends me an email. AudioAcrobat – I use AudioAcrobat to record and host my podcasts. Not only can I generate the online and download, but it sends the podcast to iTunes as well. AudioAcrobat offers call in lines to record your show, have customers call in for testimonials and more. Skype – Get Skype for your Business for free conference calls and video calling. Until recently, I used Skype to call my podcast guest and Pamela to record the calls. I started having some quality issues (probably related to my Internet) and right now I’m using AudioAcrobat to call and record my show. Pamela – I used Pamela to record Skype calls. When it worked it was great, when it didn’t it was bad. The tech support isn’t that great. A free option is MP3 Skype Recorder. Sony Sound Forge Audio Studio 10 – I use Soundforge for audio editing of my podcasts. MP3Tag – I use this free software to add the tags to my podcast so when you add it to your MP3 player it has the right titles and other information. 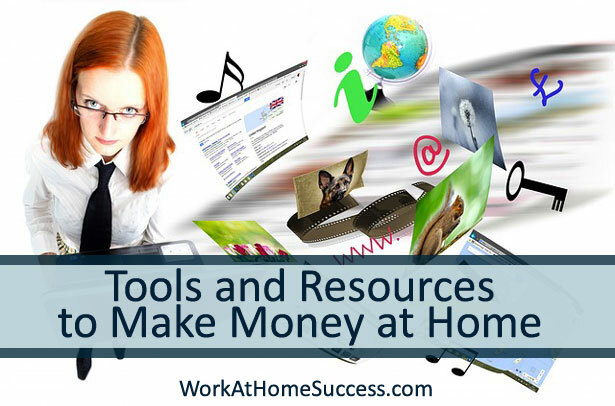 There are tons of resources for affiliate income. These are just a few of the popular ones. HARO – I love HARO because it connects you with people needing experts and others to interview for their articles, radio shows, podcasts and more. And it’s free! CoSchedule – Until recently, I would post articles on my blog and then use the Hootsuite Hootlet to schedule social media announcements of the post. No I use CoSchedule, which allows me to schedule my social media posts along with writing the post. It also creates and editorial calendar, which will be helpful as I add more contributing bloggers to WAHS’s line up. Hootsuite – I still use Hootsuite for social media, most to schedule older posts and to send out links to good articles I find online that I think my followers should read. Hootsuite is also a great way to view and manage all your social media in one place. I have all my Twitter accounts, Facebook fan pages, Google + (page not profile) and LinkedIn account in Hootsuite. Further, you can get the Hootsuite app for your phone so you can use it on the go. It’s free up to 5 accounts. Applets – I use applets with Hootsuite, Pinterest, Evernote and Send to Kindle. When I’m on a site that I want to share or remember, I can click the applet and add it. Each browser has it’s own apps (applet, addons, etc). Search your browsers add-ons for applets that can add. LastPass – After the scare with Heartbleed, I decided to use a program to help me manage passwords. LastPass will generate passwords that you’d never remember, but since it stores them, you only need to remember your LastPass password. It’s free on your computer, but I paid for the phone app because I have to access my information through it sometimes as well. Webroot SecureAnywhere AntiVirus – After my computer crashed, I paid for extra tech support which included free anti-virus software. I’d been using Trend Micro, which was fine although it slowed my machine down when it ran. But this was recommended by the tech guys. So far, I haven’t noticed any slow downs when it runs. Evernote – I love Evernote to store ideas, research, and anything else I might want to find again when I’m online or even out and about (it has a mobile app as well). Google Calendar – Since changing to the iPhone, I mostly use the calendar on my PC. Gmail – Except for WAHS email, I use Gmail for just about everything. I have it set up so I can see and manage important email while trying to keep my inbox clear. DropBox – I use DropBox to store my current writing documents so I can work on items from any of my devices. It’s a good resource for sharing information with a virtual assistant or team as well.